Former prime minister Atal Bihari Vajpayee passed away at AIIMS in Delhi at 5.05pm on Thursday. He was 93. According to a medical bulletin, his condition deteriorated over the last 36 hours and he was put on life support systems. "Despite the best of efforts, we lost him today.” The Bharatiya Janata Party stalwart was admitted to the All India Institute of Medical Sciences (AIIMS) in New Delhi on June 11 with a kidney tract infection, urinary tract infection, low urine output and chest congestion. The government has announced 7-day national mourning from August 16 to August 22 after Atal Bihari Vajpayee's death. The flag will fly half-mast and the former prime minister will be accorded a state funeral. Atal Bihari Vajpayee was the Prime Minister briefly in 1996 and then from 1998 to 2004 but had retreated from active politics over the last decade due to failing health. Born in 1924, he entered politics during the Quit India movement in 1942. Vajpayee was elected to Lok Sabha from Lucknow in 1991, 1996, 1998, 1999 and 2004. Vajpayee was also the first external affairs minister to deliver a speech in the UN General Assembly in Hindi. Vajpayee's body will be taken to his residence at 7 pm and hundreds of well-wishers have gathered there to pay their last respects. 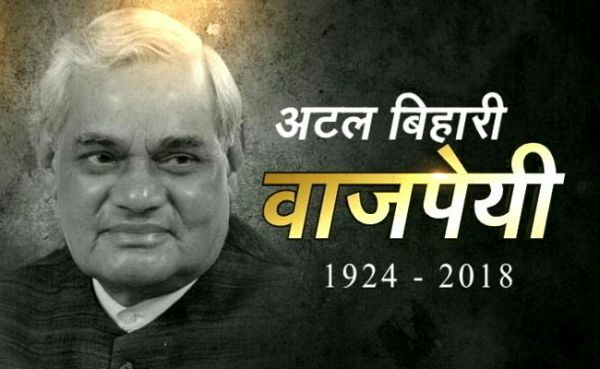 The mortal remains will be taken to the BJP headquarters at 10am on Friday and the samadhi will be done at Vijay Ghat, near Rajghat, at 5pm on Friday. Prime Minister Narendra Modi, BJP chief Amit Shah, party veteran LK Advani, Arvind Kejriwal, Mamata Banerjee, Rahul Gandhi, several union ministers and CMs and even former Pakistan President Pervez Musharaff mourned his death and paid him glowing tributes.